1. 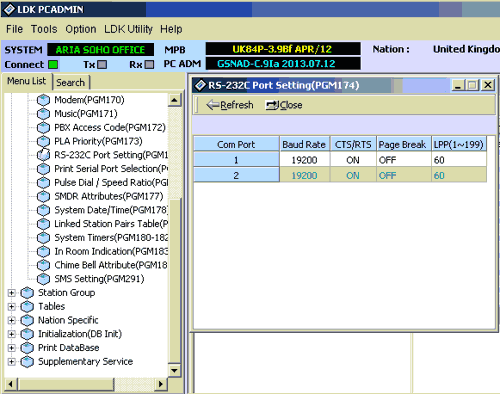 Open the "LDK PCADMIN" utility and connect to your PBX. 2. Switch to "Search" tab, type PGM174, open and change the RS232 port settings as shown below. 3. Switch to "Search" tab, type PGM177, open and change the SMDR settings as shown below. 5. 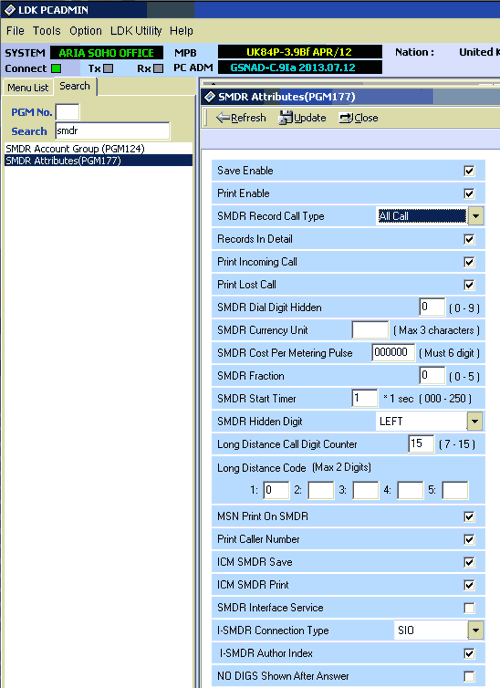 PGM142/16: (SMDR Print Enable) - enable SMDR for each line. 6. PGM141/5: (CO Line Type). Should be = �O. (If this parameter = PBX then you should define code in PGM172).